This double relay works on the TIPM-7 fuse box shown above. If your 2007-2016 Dodge/Jeep/Chrysler/VW vehicle experiences problems with door lock functionality, front wipers on/off, front wipers high/low speed, front washer fluid, rear washer fluid, or rear wipers, it's likely a failure with the 10-pin NEC/Tokin double relay that is soldered to one of six circuit boards deep inside the TIPM. Replacement double relays shown on this page (NEC/Tokin #EX2-2U1S) have been utilized by our team for all TIPM repairs since 2014. If you're the kind of person who loves to tackle tough projects like this, keep in mind that repairing your TIPM using one of these relays is no small task. Just getting the TIPM apart can be enough for many to throw in the towel. We recommend that you have soldering experience, especially under a microscope on circuit boards. You'll also need to fully disassemble the TIPM, which many have tried and failed to do without damage. If you'd rather have us replace your relays, please visit our TIPM Repairs page. For single relay replacements (fuel pump, horn, backup lights), use the 5-pin NEC/Tokin #EX1-2U1S. To verify that this relay will fit your vehicle, please check the chart below. 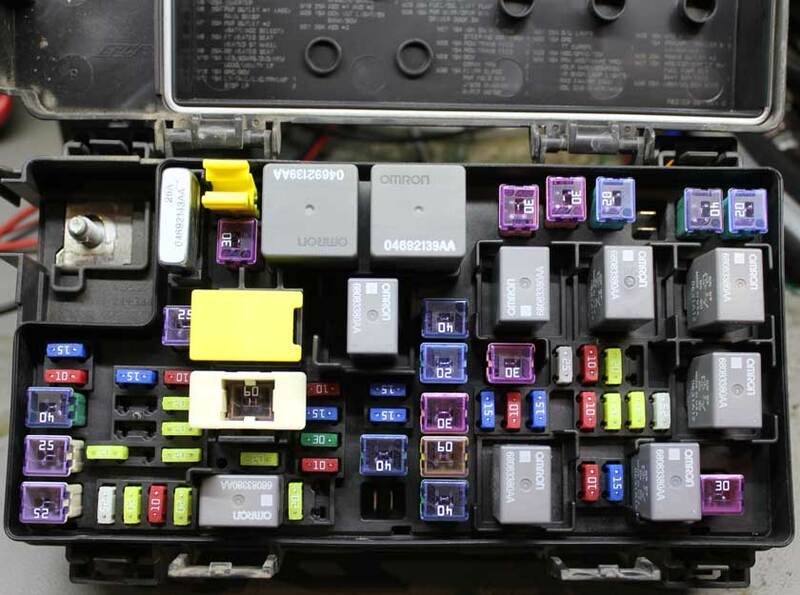 If you don't know the vehicle year/model or you'd like to confirm the TIPM style this relay applies to, make sure your TIPM looks similar to the following: TIPM-7 fuse box. It's normal to have fuses and relays in different locations on this style TIPM, depending on your vehicle options and model.